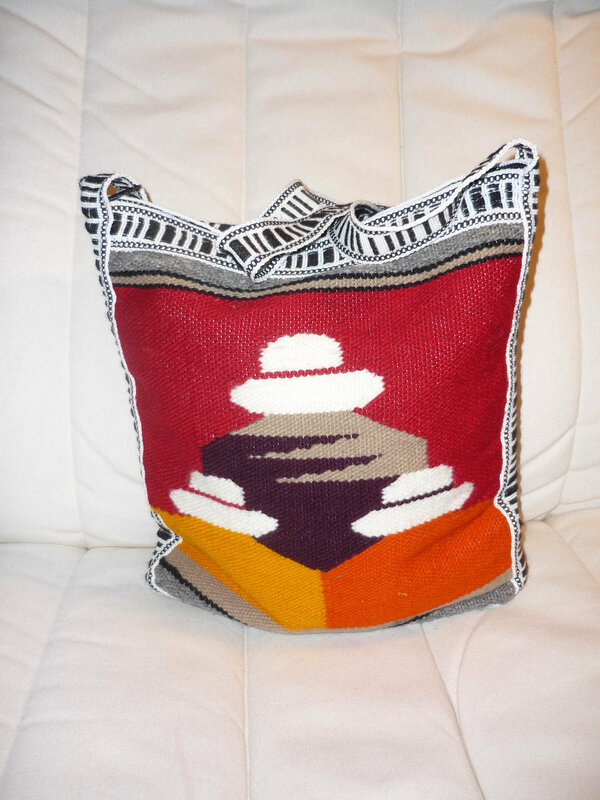 The creations are done by native indigenous peoples of Otavalo Ecuador, They are a native culture from a tribe called Salaca, who hand-craft and hand-weave each individual piece. The Salasaca people live in the center of the Andes in Ecuador. There are around 12,000 inhabitants and they speak Kichwa. The Salasacas work principally in agriculture and indigenous art, which they begin learning at a very young age. One identifiable cultural characteristic of the Salasacas is their tapestries with hand-woven designs and motifs. Many of the tapestry designs tell the stories of their lives. The tapestries currently exhibited are all handmade, starting with natural wool, followed by the spinning, dying and weaving. These creations depict the culture and traditions of the native tribes in Ecuador. They are truly unique pieces, one of a kind.